The Owl P7-CST Gradient Gel Caster is one of the more simple devices you can use to cast gradient gels. 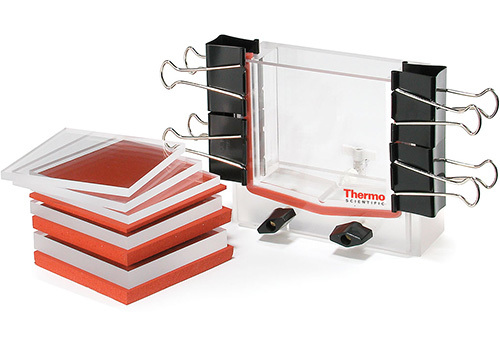 With an external gradient maker, gels can be cast with ease and great reproducibility. Ships complete with Casting Stand with Base Port, Spacer Placer, Foam and Acrylic Spacer Plates, (4) Binder Clamps, and Front Plate.